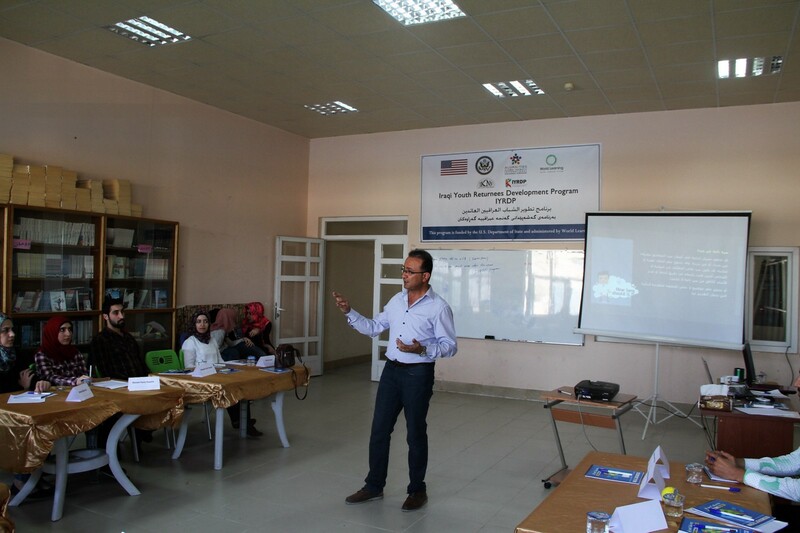 Salar Brifkani, an alumnus of the International Visitor Leadership Program (IVLP), was awarded an Alumni TIES small grant for his project, the Iraqi Youth Returnees Development Programme (IYRDP). Find out more about IYRDP and other Alumni TIES Small Grant projects from Middle East North Africa TIES: Casablanca on Preparing for a 21st Century Economy here. During the continued conflict in their cities in Iraq, internationally displaced persons (IDPs) were forced to leave their communities seeking safe areas, but always dreamed of returning home. When conflict and violence destroy a city, buildings are not the only structures that are affected and need to be rebuilt, individuals are also psychologically affected and need rehabilitation too. Post-ISIS, there is a need to combat ignorance and poverty, which deter youth progress in achieving their dreams. In the aftermath of the war, the situation in Iraq requires that the immediate needs in education and skill development are addressed. The idea for the Iraqi Youth Returnees Development Programme (IYRDP) was born out of this context. It was created for young IDPs who have a passion for rebuilding their home communities and making a positive impact. 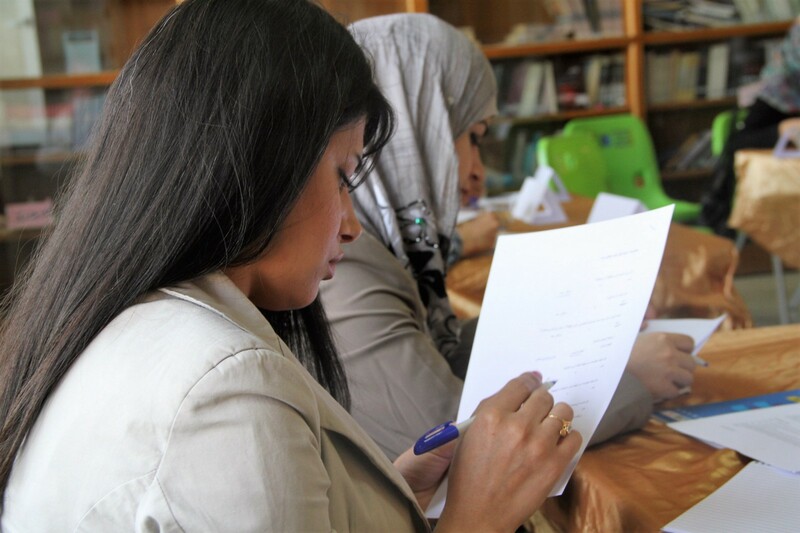 IYRDP enhances the capacity of young Iraqis by boosting their skills in business development, economic analysis, marketing, and career development; the program motivates them to think positively and become leaders in their communities. Through the workshop, participants develop their employability, leadership, and ability to compete in the marketplace. The Iraqi Youth Returnees Development Program is designed for young Iraqi IDPs who are returning home to start their lives anew. IYRDP is funded by the Bureau of Educational and Cultural Affairs of the U.S. Department of State through an Alumni TIES small grant. The program consisted of five-day workshops in October, November, and December 2017. 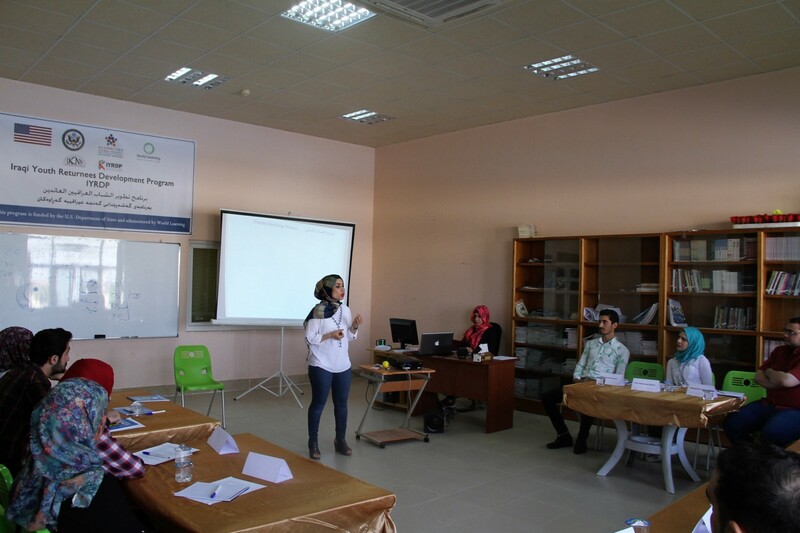 The topics included resume writing, interview skills, time management, business and social entrepreneurship, budgeting, marketing, setting goals and creating a business model, volunteerism, human rights, interfaith harmony, youth programs in the U.S., and psychological wellbeing of youth during war and conflict. What inspired us was the notable change not only in participants’ behavior and energy, but in their knowledge, self-confidence, and vision for their future. These positive results were clear through the interviews we conducted with them on the final day and the results from the post-assessment. In addition to building a network, they continue to maintain relationships with the speakers and mentors too. Although the effects of the war are still apparent in their communities, some of the participants immediately began participating in public activities and events as volunteers, such as the Nishtiman Youth Network, TEDx, Ewadifa.com, and the Erbil International Marathon. Although the training only lasted five days, the IYRDP project team continues to offer the participants assistance and guidance. 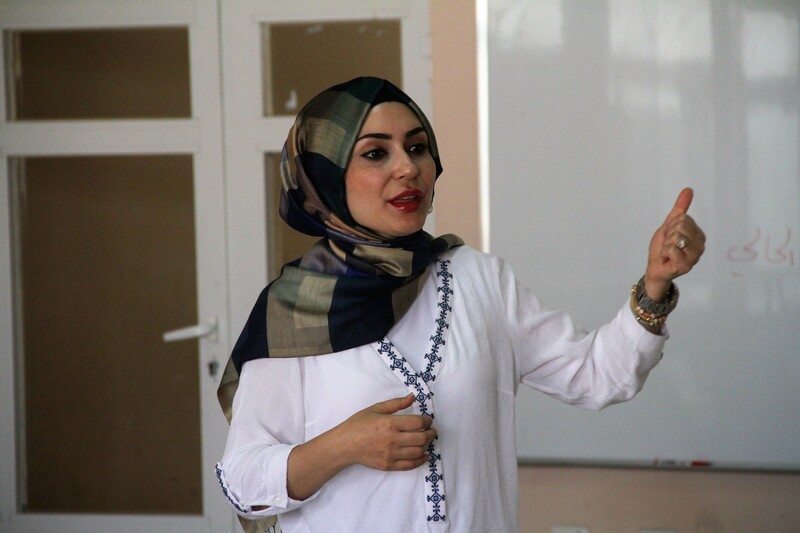 Additional program activities include a training course at the entrepreneurship academy with 51 Labs, a training course in English language for women with IKNN, and free memberships for using digital technology with Smart Web. Written and contributed by Salar Brifkani.